The City of Pittsburg Parks & Recreation Department will host Toddler Time, with sessions beginning 9:00 am – 11:00 am Thursday, November 2, at Lincoln Center, 710 W. 9th. St., Pittsburg. This parent-child play group is an open-gym environment for toddlers, aged newborn to four years. Play equipment, toys and games are available, offering parents and children interactive activities to do together. 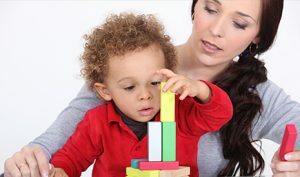 Parent-child play groups like Toddler Time allow children to learn and develop social skills at their own pace. By interacting with other kids their own age, children build emotional confidence and learn through play. In addition to encouraging parent-child bonding, Toddler Time allows parents (and grandparents) to meet new people, share ideas and build relationships with other parents and caregivers. Community daycare centers and children’s groups are also welcome to attend. Toddler Time 2017 sessions: 9:00 am – 11:00 am Tuesdays and Thursdays, November 2 – December 7. There is no fee to participate. Children cannot be left unattended. The play group will not meet if school is cancelled due to inclement weather. For more information, contact Pittsburg Parks & Recreation Department at (620) 231-8310 or visit www.pittks.org.